National Defence, Law enforcement, Maritime and Aviation Search and Rescue, Counter Terrorism, Minesweeping, Explosive Ordnance Disposal, Hydrographic Service and other tasks. Icelandic Coast Guard EOD specialist defusing a Car bomb in Iraq. The Icelandic Coast Guard (Icelandic: Landhelgisgæsla Íslands, Landhelgisgæslan or simply Gæslan) is the service responsible for Iceland's coastal defense and maritime and aeronautical search and rescue. Its origins can be traced to 1859, when the corvette Ørnen started patrolling Icelandic waters. In 1906, Iceland's first purposely built guard-ship, Islands Falk, began operation. Iceland's own defense of its territorial waters began around 1920 and the Icelandic Coast Guard was formally founded on 1 July 1926. The first cannon was put on the trawler Thor in 1924 and on 23 June 1926 the first ship built for the Coast Guard, named Óðinn, arrived in Iceland. Three years later, on 14 July 1929 the coastal defence ship Ægir was added to the Coast Guard fleet. The Icelandic Coast Guard played its largest role during the Cod Wars between 1972 and 1975, when the Coast Guard ships would cut the trawl wires of British and West German trawlers and engaged in confrontations with Royal Navy warships, in order to enforce a disputed expansion of Iceland's exclusive economic zone. The Icelandic Coast Guard is responsible for hydrographic surveying and nautical charting. From left to right: Captain of Thor Cdr. s.g. Sigurður Steinar Ketilsson, Director of the Icelandic Coast Guard R.Adm. Georg Kr. Lárusson, President of Iceland Mr. Ólafur Ragnar Grímsson, and former Minister of the Interior Ögmundur Jónasson. The Icelandic Coast Guard's (ICG) primary mission is the defending the Icelandic sovereignty, integrity of the territorial waters, maintaining Icelandic law and order inside the 200-nautical-mile (370 km; 230 mi)-wide economic zone as well as other vital missions such as Search and Rescue. The Coast Guard operates JRCC-Iceland which is responsible for search and rescue of vessels and aircraft in Iceland's search and rescue region (SRR) according to International Aeronautical and Maritime Search and Rescue (IAMSAR) Manual. Additionally the ICG is in the charge of defusing naval mines, most of which were laid during the Second World War, and monitoring fisheries in international waters outside of the Icelandic Economic zone in order to blacklist any vessel partaking in unregulated fishing and thus bar them from receiving services from any member of the North East Atlantic Fisheries Commission in order to make unregulated fishing unprofitable. The Icelandic Coast Guard also occasionally operates within Greenlandic and Faeroese waters, following a bilateral agreement with Denmark regarding mutual aid in security, rescue and defence matters. The Coast Guard accomplishes these tasks with the use of offshore patrol vessels (OPV), helicopters, surveillance aircraft, satellites and a network of land based surface scanning radar. The Icelandic Coast Guard is also in charge of the Iceland Air Defence System, which operates four ground-based AN-FPS(V)5 air surveillance radars and a control and command centre. In the 1990s the Coast Guard started hosting exercises such as "Northern Challenge" which had military units from Norway, Denmark, Sweden and the United Kingdom, among others, participating along with the Icelandic Coast Guard. The Coast Guard has also taken part in peacekeeping operations on behalf of the Icelandic Crisis Response Unit, although while usually using their own rank insignia, uniforms and weapons. The fleet also takes part in Frontex operations, and in that role ICGV Týr played a major part in the rescue of over 300 Syrian refugees in the eastern Mediterranean Sea in January 2015. Currently the Icelandic Coast Guard fleet consists of three OPVs, one coastal hydrographic and patrol vessel and an independent fast rigid-hulled inflatable boat (RHIB), as well as numerous smaller boats assigned to the larger units. In 2011 the Coast Guard received ICGV Thor, built by the Asmar shipyard in Talcahuano, Chile. ICGV Týr, an Ægir-class offshore patrol vessel, the second youngest, built by Århus Flydedok a/s and launched in 1975. ICGV Ægir, lead ship of the Ægir class, is ICGV Týr's sister ship, built by Ålborg Værft a/s and launched in 1968. Each ship is equipped with two or more RHIBs of various sizes and armed with a 40 mm Bofors cannon. Various kinds of small arms as well as other man portable weapons are also carried onboard each of the ships. Týr and Thor are also equipped with sonar systems and the Ægir-class vessels have flight decks and a hangar for a small helicopter. While the Coast Guard currently doesn't operate small enough helicopters to use the hangars, the flight decks are often used by the helicopters of the Aeronautical Division on various missions. The coastguard has as well a 73-ton patrol and hydrographic survey vessel, named Baldur, built by Vélsmiðja Seyðisfjarðar shipyard in 1991. This vessel has no mounted weaponry but it has nonetheless been used for port security and fishery inspection. The Coast Guard's Aeronautical Division was founded on 10 December 1955 when a Consolidated PBY-6A Catalina flying boat was acquired. It was originally from the Iceland Defense Force but was damaged near Langanes in 1954. It was registered as TF-RAN and nicknamed Rán. Currently the Icelandic Coast Guard operates three Aerospatiale AS-332L1 Super Puma helicopters, which are registered as TF-LIF, TF-SYN and TF-GNA. As a response to the withdrawal of the Iceland Defense Force in 2006 the Coast Guard operated four helicopters, including leased Aérospatiale SA-365N-1 Dauphin 2 TF-EIR, but this number has since been reduced to the three Super Pumas as of 2015. The Coast Guard also operates a single Bombardier DHC-8-Q314, registered as TF-SIF, modified for maritime surveillance and reconnaissance. This plane has been extensively modified by FIELD to carry a modern Mission Management System and suite of surveillance sensors, air operable door and communications/navigation equipment. It is occasionally also used for surveillance of volcanic eruptions, e.g. of Eyjafjallajökull in 2010. Unlike the fleet, aircraft of the Icelandic Coast Guard have standard Icelandic civilian registers, as the Althing (parliament) has never agreed on laws for military or government aircraft. Over the time since the division was formed the regulations for standard civilian aircraft have become more restrictive. As a result, the Coast Guard can no longer operate military aircraft like it did in the past. Nevertheless, current helicopters are outfitted with latest generation U.S. night vision equipment, reserved for U.S. armed forces and the armies of their allies and thus the only civilian registered aircraft in the world, so equipped. All major vehicles of the Icelandic Coast Guard are currently named after beings from Norse mythology. ICGV Thor Offshore patrol vessel UT 512L Type Chilean-built UT 512L Type (enlarged UT 512 Type) offshore patrol vessel commissioned in late 2011 and the flagship of the service. Named after Thor, the god of thunder, lighting and troll slaying. ICGV Týr Offshore patrol vessel Ægir class Danish-built Ægir-class offshore patrol vessel named after Týr, the god of combat and heroism. ICGV Ægir Offshore patrol vessel Ægir class Danish-built Ægir-class offshore patrol vessel named after Ægir, the king of the sea. ICGV Baldur Hydrographic survey and patrol vessel Baldur class Icelandic-built Baldur-class hydrographic survey and patrol vessel named after Baldur, god of beauty and more. TF-SIF is a Bombardier DHC-8-Q314 named after Sif, goddess and wife of Thor, the god of thunder and trollslaying. Used for maritime surveillance and replaced Fokker F-27. TF-LIF is an Aérospatiale AS-332L1 Super Puma named after Líf, the only woman who will survive Ragnarök. Used for maritime surveillance and search and rescue operations. TF-GNA and TF-SYN are Eurocopter AS 332L1 Super Pumas on long-term lease from Airlift AS of Norway and were brought into service to augment the Coast Guard-owned TF-LIF. ICGV Gautur, originally named Óðinn (II) but renamed when a new Óðinn (III) arrived, Gautur is one of Óðinn's pseudonyms. ICGV Óðinn (III) an offshore Patrol Vessel named after Óðinn the all-seeing father of the gods. ICGV Baldur (I), a fast patrol boat used for less than a year and returned because of bad characteristics in rough seas. ICGV Baldur (II), an armed trawler. ICGV Bragi, named after Bragi the god of poetry. A fast patrol boat used for less than a year and returned because of bad characteristics in rough seas. ICGV Njörður, named after Njörðr the god of wind, fertile land along the seacoast, as well as seamanship, sailing and fishing. A fast patrol boat used for less than a year and returned because of bad characteristics in rough seas. ICGV Týr (I), a whaler (Hvalur 9) borrowed during the second Cod War usually called Hval-Týr. ICGV Albert, patrol and rescue vessel. Joint ownership by the ICG and the National Life-saving Association of Iceland, now ICE-SAR. Operated by the ICG. Decommissioned in the mid 1970s. ICGV Árvakur, a lighthouse tender and patrol ship decommissioned in the 1980s. ICGV María Júlía, patrol and rescue vessel, named after one of those who financed her construction. Joint ownership by the ICG and the National Life-saving Association of Iceland. Operated by the ICG. Decommissioned in the late 1960s. ICGV Sæbjörg, a patrol and rescue ship owned by the National Life-saving Association of Iceland but operated by the ICG. Decommissioned in the mid 1960s. ICGV Ver, an armed trawler. Operated by the ICG in the last Cod War in 1975-1976. In addition the Coast Guard has rented or borrowed a number of civilian vessels and aircraft for shorter periods, which are not listed. TF-RAN (I) Consolidated PBY-6A Catalina, named after Rán. TF-SIF (I) Douglas C-54 Skymaster. TF-EIR Bell 47J. Joint ownership by the ICG and the National Life-saving Association of Iceland. The very first Iceland registered SAR helicopter. TF-GNA Sikorsky S-62. Joint ownership by the ICG and the National Life-saving Association of Iceland. TF-HUG Bell 47G named after Huginn one of Odin's ravens who flew over the world every morning to gather information for him. TF-MUN Bell 47G named after Muninn one of Odin's ravens who flew over the world every morning to gather information for him. TF-GRO (I) Hughes 500C Defender. TF-RAN (II) Sikorsky S-76 Spirit. TF-GRO (II) Hughes 500C Defender. TF-GRO (III) Eurocopter AS 350B Ecureuil. TF-SIF (II) was an Aérospatiale SA 365N Dauphin II, which was operated from 1984 to 1985. TF-SYN was a Fokker F-27-200 Friendship, which was bought new in 1976 and used until 2009. Currently preserved at the Aviation Museum of Akureyri. TF-EIR is an Aérospatiale SA-365N-1 Dauphin 2. The Iceland Air Defense System monitors Iceland's airspace. Air Defense is provided by fighter jets from NATO allies, which rotate units for the Icelandic Air Policing mission to Keflavik Air Base. The Iceland Air Defense System's Control and Reporting Centre is at Keflavik Air Base and reports to NATO's Integrated Air Defense System CAOC Uedem in Germany. The Icelandic Coast Guard possess 207 firearms, 111 of which are in storage. Bofors 40 mm L/70 40 mm Autocannon Sweden 4 Purchased from Norway and refurbished. Bofors 40 mm L/60 40 mm Autocannon Sweden 4 Model year 1936. Gift from Denmark. Glock 9 mm Pistol Austria 20 Model years 1990, 2006 and 2012. Bought from a dealership in Reykjavík. H&K MP5 9 mm Submachine gun Germany 50 Model year 1990. Gift from Norway 2011. Rheinmetall MG 3 7.62 mm General-purpose machine gun Germany 10 Model year 1990. Gift from Norway 2013. Steyr 7.62 mm Sniper rifle Austria 8 Model year 1989. Bought from a dealership in Reykjavík. Browning M2 12.7 mm Heavy machine gun United States 3 Model year 1939. Came with a seaplane which the ICG had in operation. H&K G3 7.62 mm Battle rifle Germany 20 Model year 1959. Gift from Denmark 2006. Cannon 37 mm N/A 37 mm Cannon N/A 3 Model year 1898. Gift from Denmark. Cannon 47 mm N/A 47 mm Cannon N/A 3 Model year 1909. Gift from Denmark. Cannon 57 mm N/A 57 mm Cannon N/A 5 Model year 1892. Gift from Denmark. M1 carbine 7.62 mm Carbine United States 30 Model year 1940. Lent to the Reykjavík Police 1986. M2 carbine 7.62 mm Carbine United States 20 Model year 1940. Lent to the Reykjavík Police 1986. QF 3-pounder Hotchkiss 47 mm Cannon France 1 Model year 1912. At a museum in Ísafjörður. Remington N/A 12-gauge Shotgun United States 4 Model year 2000. Bought from a dealership in Reykjavík. RSAFE Enfield .303 Bolt-action Repeating rifle United Kingdom 10 Model year 1910. Unknown origin. S&W 38 Police Special N/A .38 Special Pistol United States 12 Model year 1940. Marshall aid. Deputy Chief of Operations, head of divisions Commander sg. (after 6 years of service) Lieutenant jg. ^ "2006 nr. 52 14. jn/ Lg um Landhelgisgslu slands. ingskjal 1520, 132. lggjafaring 694. ml: #A Landhelgisgsla slands # (heildarlg)". Retrieved 14 December 2014. ^ "NATO Air Policing". Retrieved 14 December 2014. ^ "North East Atlantic Fisheries Commission". Retrieved 14 December 2014. ^ "Til hamingju með daginn! Þór kominn til Íslands". Retrieved 14 December 2014. ^ "Nýtt varðskip Þór". Retrieved 14 December 2014. ^ "TF-LIF". Retrieved 14 December 2014. ^ "Iceland Air Defense System". Icelandic Coast Guard. Retrieved 25 May 2018. ^ "Landhelgisgæslan á 212 vopn - Vísir". ^ "869/144 svar: vopnaöflun og vopnaeign Landhelgisgæslunnar". Alþingi. 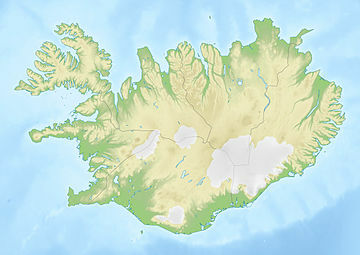 Wikimedia Commons has media related to Icelandic Coast Guard. Coast Guard laws in Icelandic. This page was last edited on 12 February 2019, at 02:11 (UTC).